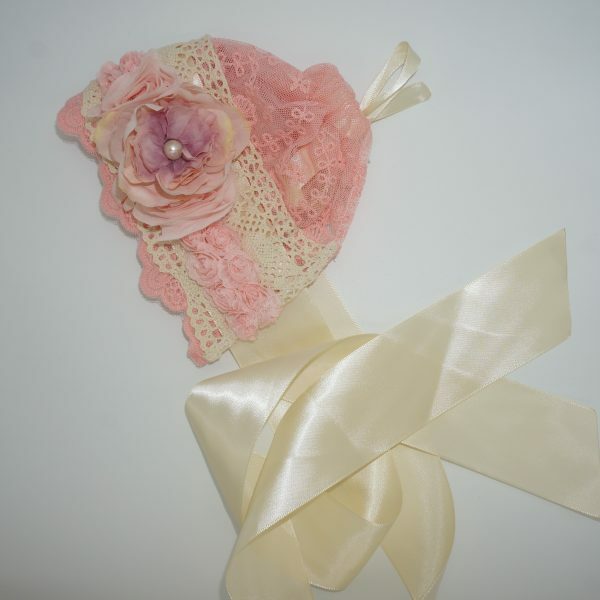 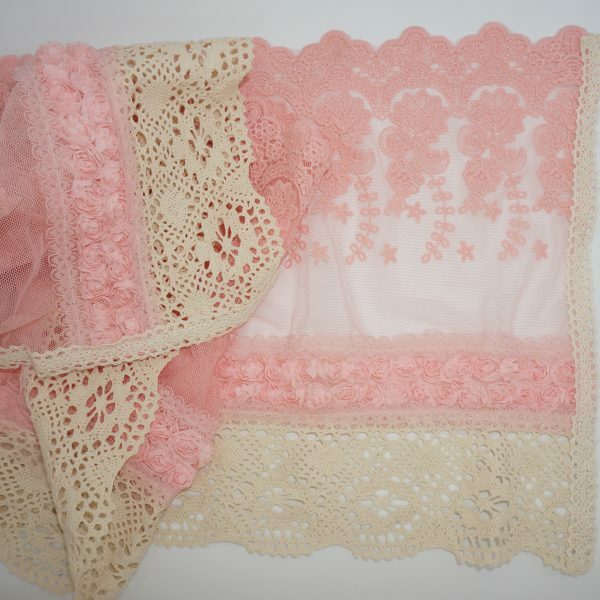 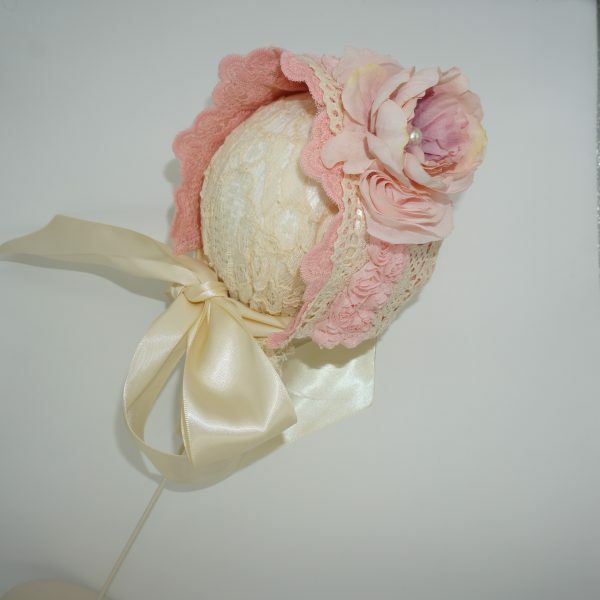 The Vintage Peach and Cream Wrap and Bonnet Set is pure prettiness with cotton lace and trim, satin ribbon trim on bonnet and peony with pearl detail. 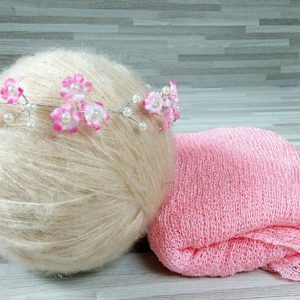 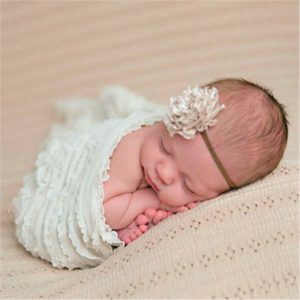 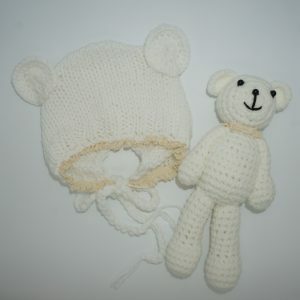 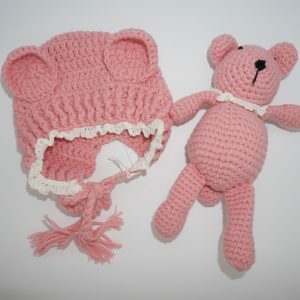 Bonnet is adjustable in size from newborn to 3 months. 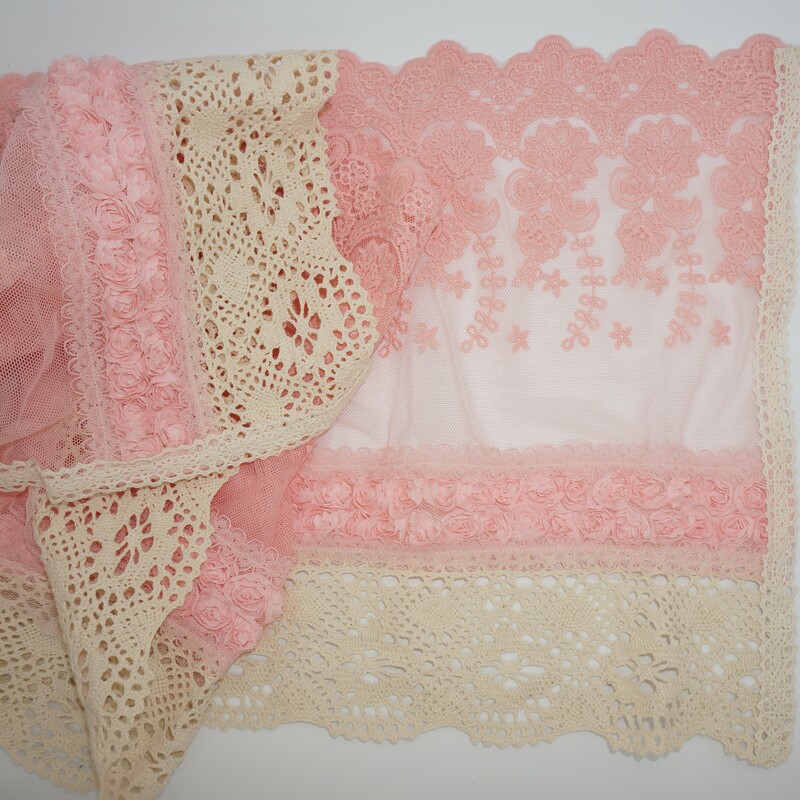 Lace wrap more than 1 meter in length and 40cm in width.